Every TI student, whether novice or experienced swimmer, begins by learning Balance and Core Stability. These foundation skills replace that sinking sensation with a comforting sense of being weightless in the water. First you will learn to cooperate with, instead of fighting against, gravity and employ the principles of physics to create effortless horizontal balance from head to toe. Then you will learn to stabilize your core and to control sideways or rotational forces that can divert your arms and legs to steadying actions. 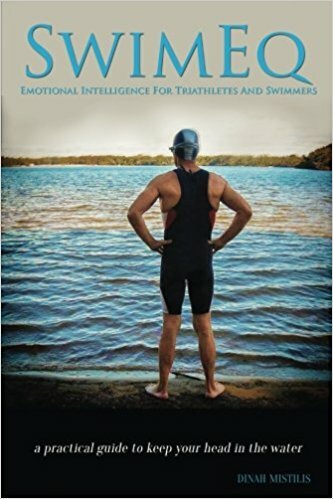 Feeling that you are in control of your position in the water will bring the confidence and mental calm needed to master more advanced skills. You will also gain first-hand knowledge of how the human body naturally behaves in a fluid medium. You will use this insight to minimize problems and maximize opportunities inherent in the aquatic medium. Presssure drag is resistance that builds up in front of your body as you move through the water. Bulky or constantly changing shapes create far more resistance than an unchanging and sleek shape. Wave drag is energy diverted from human movement into moving water around – ie. making waves, turbulence, bubbles and splash. Any energy you expend moving water around is no longer available to move you forward. Shape your vessel. This skill is inspired by the streamlined shape of fish and aquatic animals and by the principles used in naval architecture to minimize drag. Apply it to the human form by extending you body – head, limbs and torso – into a long, slippery shape. Mindfully strive to minimize deviation from this shape as you stroke and breathe. Don’t make waves. Minimize wave drag by striving to minimize wave making, bubbles, splashing and even noise. All are evidence of energy being diverted from efficient forward motion. The farther and faster you swim, the bigger the payoff from doing so with quiet, efficient strokes. In traditional swim technique, the arms and legs do most of the work, while the core body is passive. We invert that dynamic, initiating all movement, power, and rhythm from the core – the most naturally powerful and fatigue resistant part of the body. We teach you to carefully integrate the movements of the head, arms, and legs with rhythms initiated in the core. Power originates in the core and flows to the arms and legs. 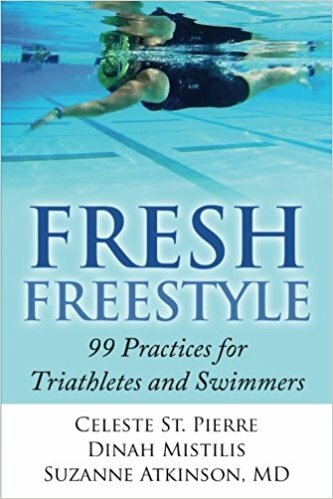 The better that integration, the less work it takes to swim farther and faster. It is obvious that breathing is both the most essential and most challenging of all skills. 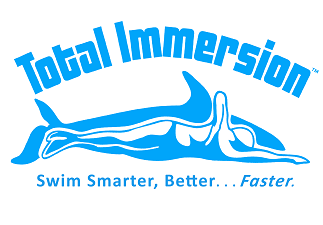 Development of seamless breathing skills are integrated in every step of the TI skill progression. When you are comfortable and in control of your body, breathing is far easier. When you maintain a long, sleek shape while breathing, you conserve both momentum and power. Finally, it is far easier to get that breath when the energy for moving your mouth to the air comes from core rotation. Start your TI journey today, join us for private or small group lessons or look for an upcoming clinic or workshop near you.